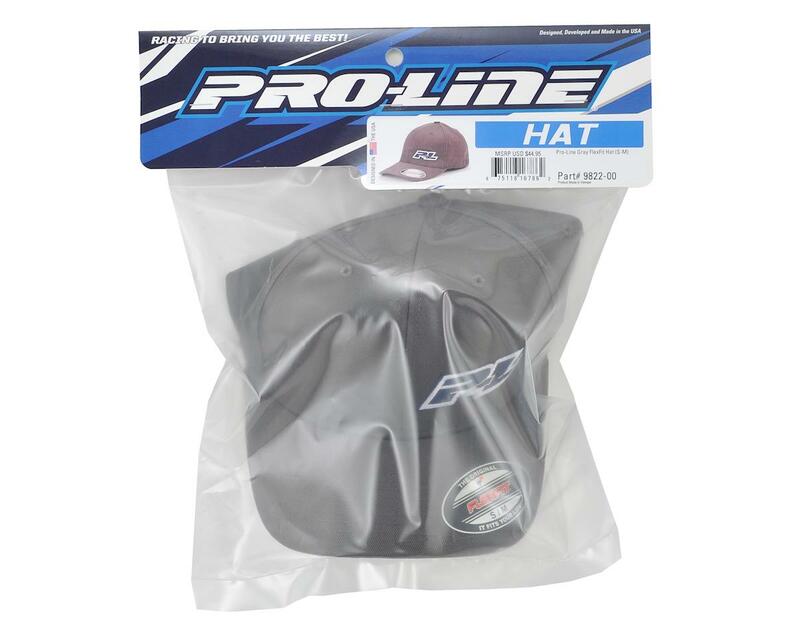 This is the Pro-Line Gray Flex Fit Hat. 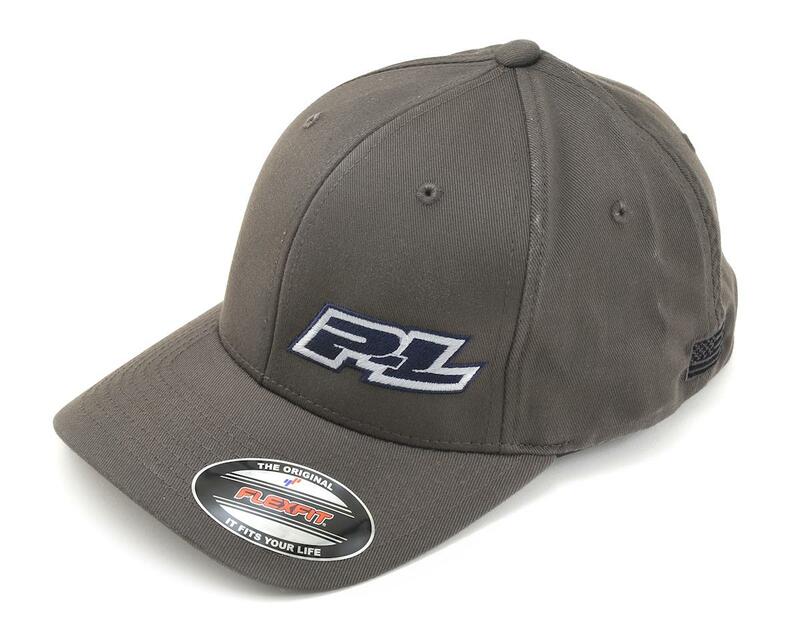 This premium hat features a rugged rubber molded patch in the front and a 2-color stitched Pro-Line logo on the back. The look is finished off with a subtle stitched American Flag on the side. 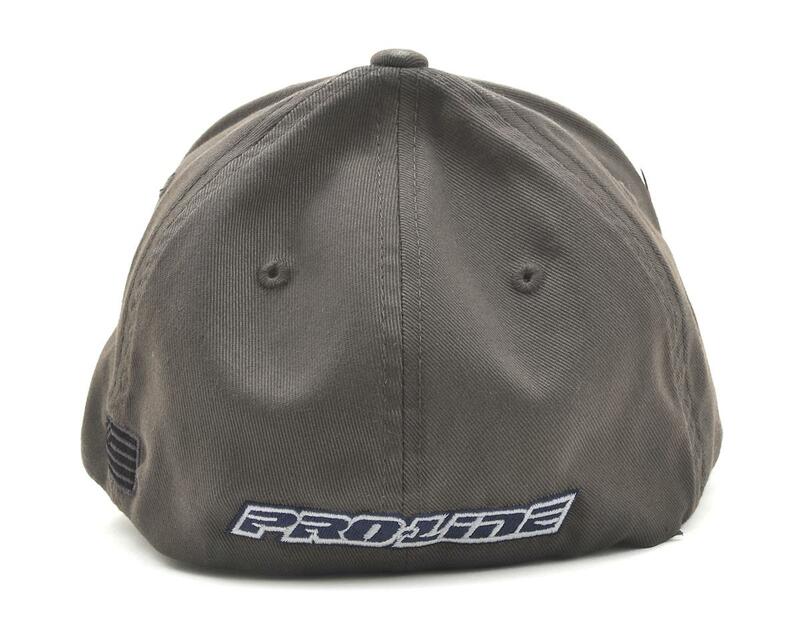 Very comfortable hat that fits my small head. After a year in the sun and wearing in almost every day there’s some discolouration. Well that’s pretty normal after being worn for such a time.